If you play video games these days and have at least half a pulse, you've probably heard of the Final Fantasy series, the JRPG series that put Square-Enix (formerly Squaresoft) on the map and quickly became the face of JRPGs as a whole. These games typically feature turn-based combat where players control a party of 3-5 characters with varying abilities based on their "class". i.e.- Knights can block hits for their allies, Mages cast magic, Thieves can steal items, et cetera, using strategic combinations of spells and skills to fight monsters, crawl dungeons, and (typically) ultimately save the world from some sort of catastrophe. I, personally, have always loved these games for their story and have loved them since I first met Final Fantasy IV in 1994 (or so). Well, the illustrious developing company does more than just churn out a new Final Fantasy every two or so years, and it is on this subject that I would like to speak. 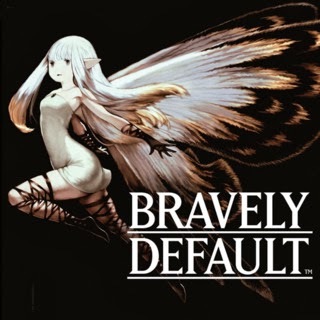 As it turns out, Square-Enix is producing a new game that is coming stateside on February 7th, Bravely Default. I played the free demo and thought I'd speak my piece on it. But first, I have a short tale I'd like to spin. I'd like to start this post with a little trip down memory lane, back to 1997 when Final Fantasy VII was released, the game that launched a thousand cosplayers (but this isn't about that). Final Fantasy VII changed the way players could customize the roles played by each of their characters through the use of Materia. You could give your characters nothing but magic, all commands (steal, throw, etc. ), summons out the yin-yang, or a sensible combination. It was cool, innovative, and a fun break from the "Ninjas-have-throw, Thieves-have-steal" formula from the past. Time marches on, and 1999 rolls around, bringing with it the release of Final Fantasy VIII and its Junctioning system, where characters gain different stats, abilities, and skills based on which Guardian Forces (summons) they have linked with them. Again, it was a clever way to change up the system, allowing you to customize your character. Maybe you'll give your main bruiser the "mug" ability, letting you attack and steal simultaneously, you get the idea. 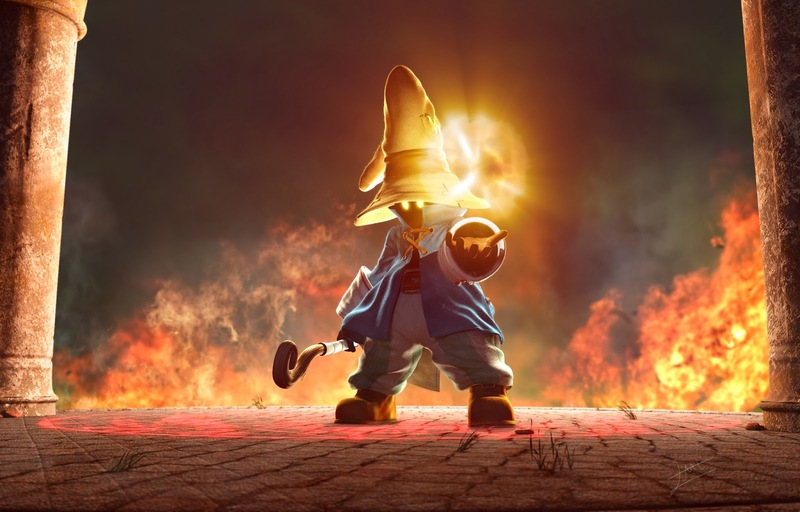 But then Final Fantasy IX comes out in 2000 (the last to be released on the PSX), with a refreshing return to the class-based Final Fantasy that we all fell in love with. Your Thief came preloaded with the steal command, and so on. In fact, the Black Mage character was modeled after the original design and there's even a bit in the beginning where your White Mage/Summoner disguises herself in the traditional White Mage robe. I'm sure right about now you're wondering what the point is, and I apologize for the digression. The point, dear readers, is that while innovation is great, sometimes what we want--what we really need is a brief return to normality. 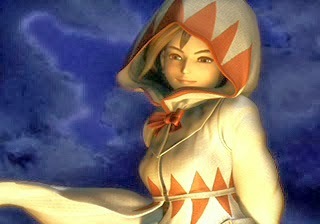 I sincerely believe Final Fantasy IX was what we needed, when we needed it. Flash forward to 2012, and we're up to Final Fantasy XIII-2 (actually XIV, but I don't count the MMOs, so sue me). We've seen the Sphere-grid, braved the License Board, and harrowed the Paradigm System, each one more complex and innovative than the last. Some people are holding their breath for Final Fantasy Versus XIII, and some are waiting for Type-0 to make its journey to the west. So what's next for Square-Enix? 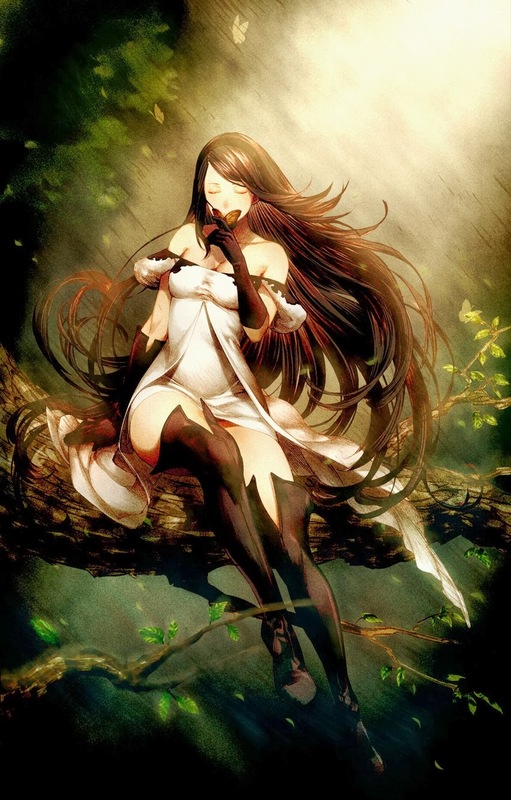 In October of 2012 Square-Enix released Bravely Default: Flying Fairy in Japan, a role-playing-game about God-knows-what (I'm not spoiling the plot for myself). 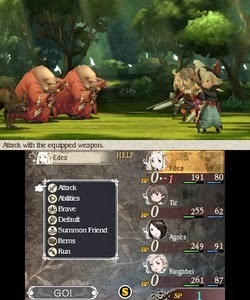 It's 2014 and Bravely Default is finally coming Stateside in February, with a 3DS release that's actually an updated version called Bravely Default: For the Sequel in Japan (who continue to come up with strange subtitles >___>). Now, I've played the free demo and I am pleased to say that, so far as I can tell, the game is a new-classic Final Fantasy in everything except name, with turn-based combat (not seen since Final Fantasy X), an overwold (gone since IX), and a return to the job-change system from Final Fantasy V (one of my personal favorites). That is not to say that there's nothing new to see in this game. 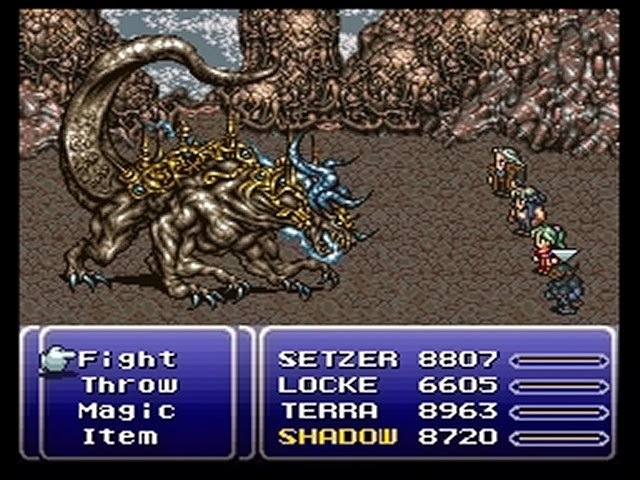 The touch-of-spice added to the tried-and-true turn-based combat involves a system wherein players can forego actions in favor of throwing down multiple later on to devastating effect. This is called "Defaulting" and "Braving" respectively. They have also engineered a... really quite fun mini-game type subplot employing the use of the 3DS' "streetpass" system. This mini-game involves rebuilding a city that has been destroyed. For each person you streetpass (when your 3DS gets near another and both have wi-fi on) who has the game, that's another person in your village. You use these villagers to clear away ancient boulders, build and upgrade shops, et cetera, which are quite literally a matter of time. However, a job that would take ten hours with one villager takes only five hours with two, and so on. This all goes on in the background while you spelunk dungeons and do general world-saving. You can also use the "Abilink" system, linking one of your characters with one of your friends with whom you've streetpassed, giving that character a boost of job-levels correlating to the levels gained by that friend. Kind of like being their spirit-guide...or something. The look of the gameplay, I have to say, differs greatly from its frankly breathtaking concept art, hearkening more towards the style used in the DS port of Final Fantasy III, three-dimensional versions of the sprites from previous generations. The game is coming out on February 7th. You can also preorder the collector's edition, which includes the game, art book, character AR cards, and soundtrack (I would get it just for the art book, to be honest...but I have a weakness for art books). 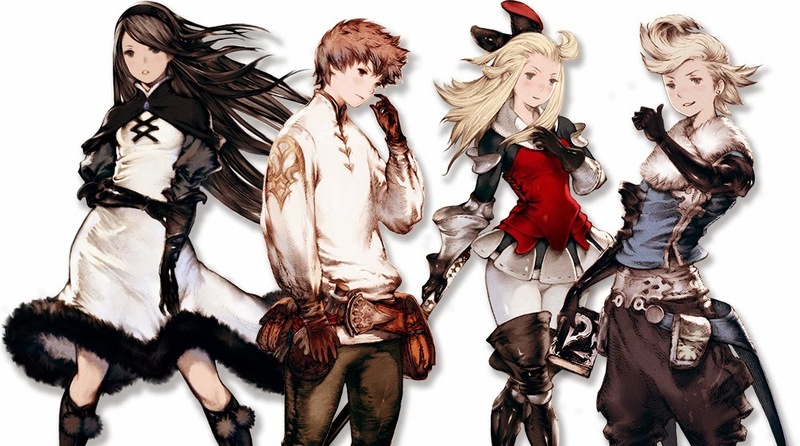 So, to all those out there who love Final Fantasy old and new, and would love to go back to the roots for a bit, make sure to pick up Bravely Default next month, I know I am.